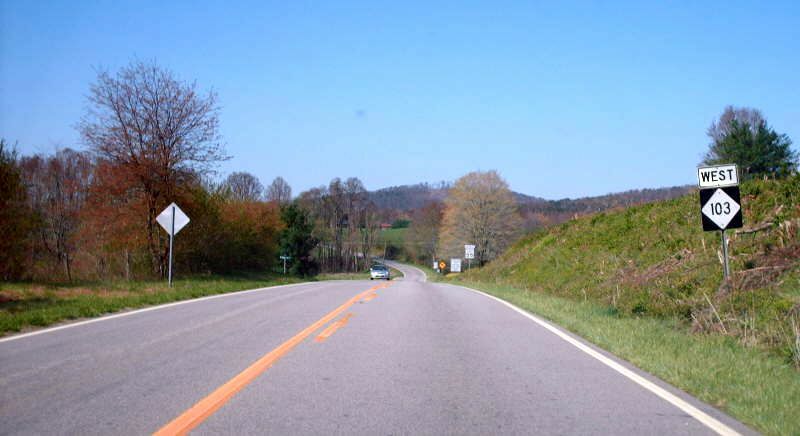 VA 103 reaches the North Carolina State Line. Photo by Mapmikey, taken October 26, 2006. 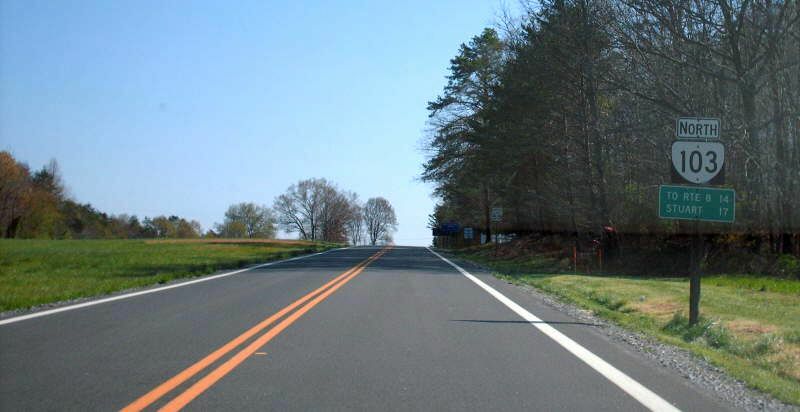 Shortly thereafter is the first NC 103 reassurance. The Tarheel State posts it east-west. Photo by Mapmikey, taken April 13, 2007. 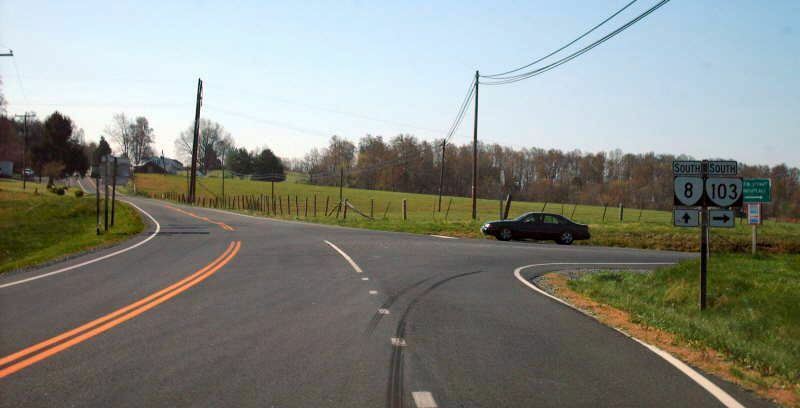 VA 103 begins this way. Photo by Mapmikey, taken April 13, 2007. 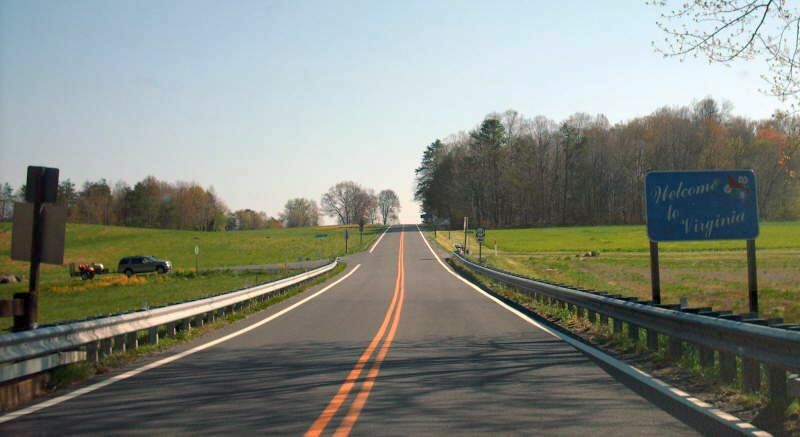 VA 103 reassures you right away. Photo by Mapmikey, taken April 13, 2007. 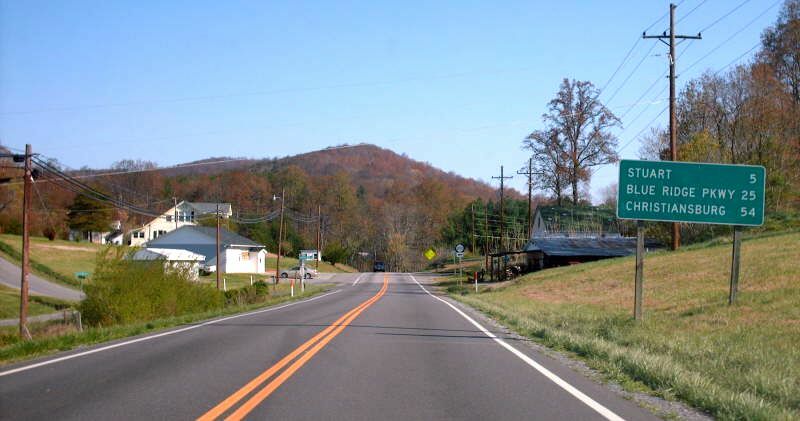 Looking northward on VA 8. VA 103 runs mostly E-W but is signed N-S. Photo by Mapmikey, taken October 26, 2006. 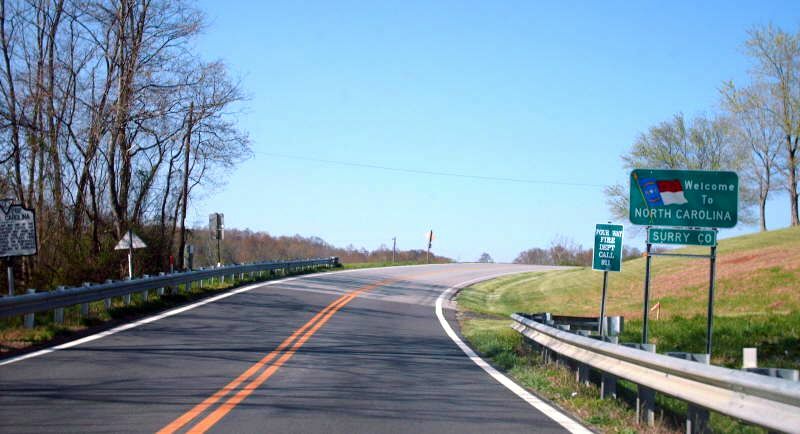 VA 8 southbound approaching VA 103. Photo by Mapmikey, taken April 13, 2007. 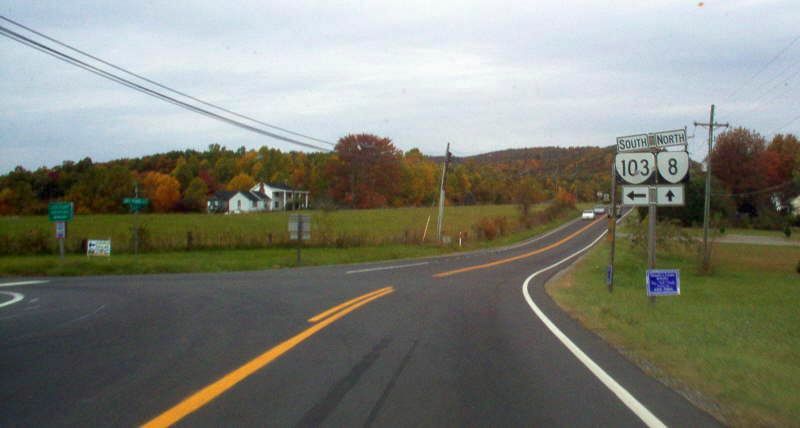 VA 8 southbound at VA 103. Photo by Mapmikey, taken April 13, 2007. 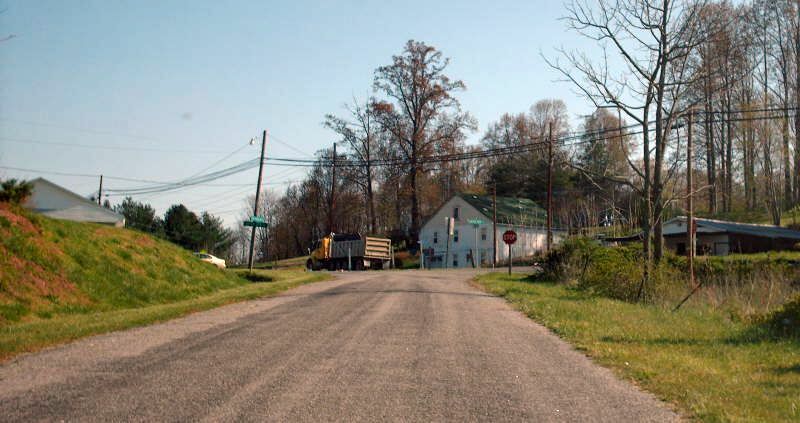 Beginning down VA 103. Photo by Mapmikey, taken April 13, 2007. VA 103 blinding itself approaching VA 8. Photo by Mapmikey, taken April 13, 2007. 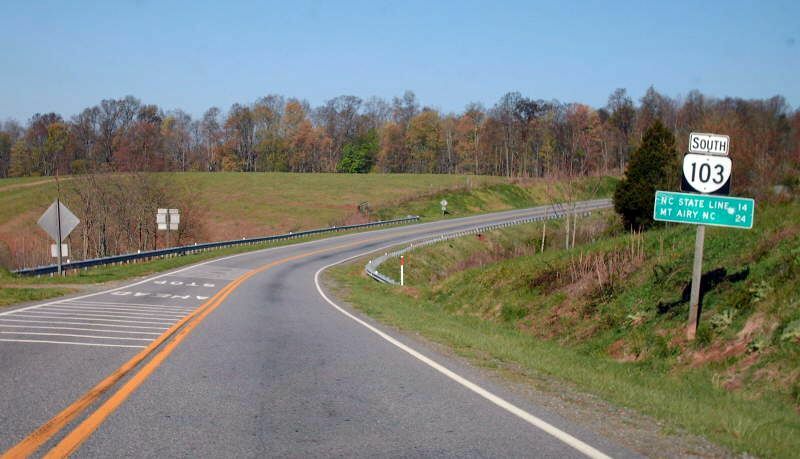 Looking northward on VA 8 about 1/4 mile past VA 103. 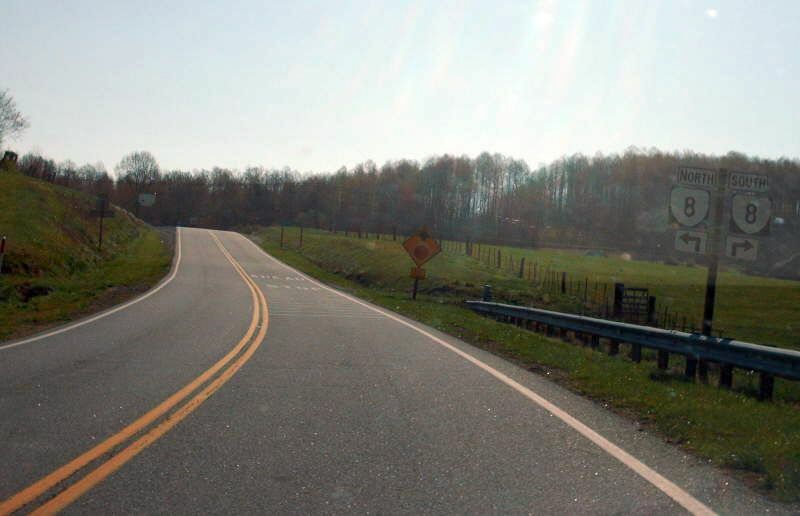 Until around 1970 VA 103 met VA 8 just ahead (the anlged road to the LOWER left. Photo by Mapmikey, taken April 13, 2007. 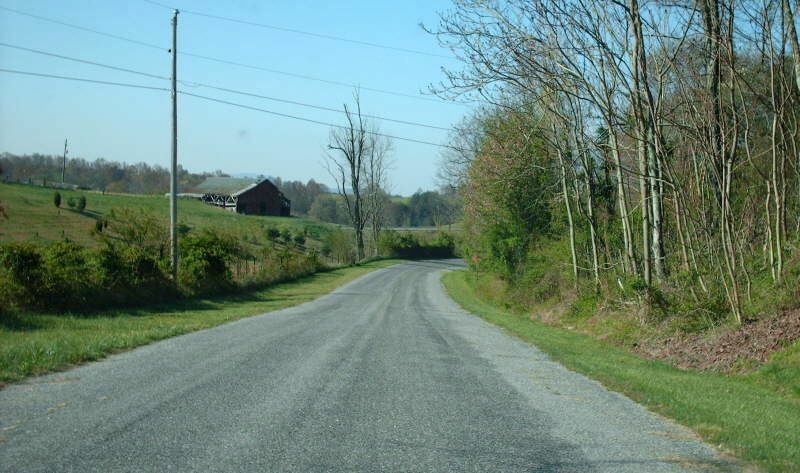 Looking down what was the beginning of VA 103 (now SR 800). The obscured yellow sign ahead is a very vintage "BARRICADE AHEAD" sign. SR 800 ends just around the bend at a driveway. Photo by Mapmikey, taken April 13, 2007. 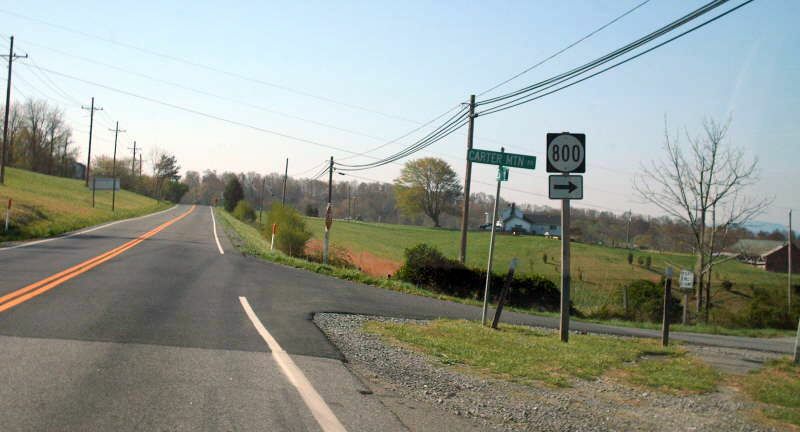 Looking east on old VA 103 (now SR 800) nearing VA 8. Photo by Mapmikey, taken April 13, 2007. 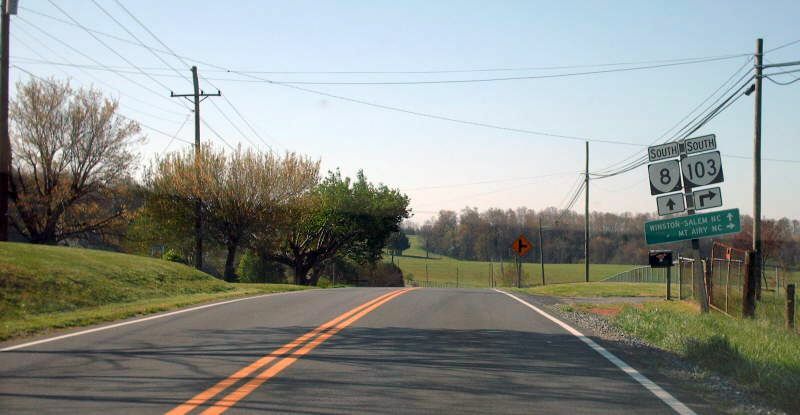 The view of old VA 103 from southbound VA 8. Photo by Mapmikey, taken April 13, 2007.